What's new in LyX 1.4? 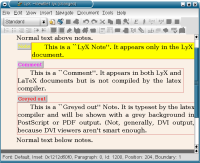 It's been a long time since LyX 1.3.0 was released (on February 7, 2003). What new goodies does LyX 1.4 have? LyX 1.4 has a re-designed layout for the menus, designed to decrease clutter and maximise productivity. 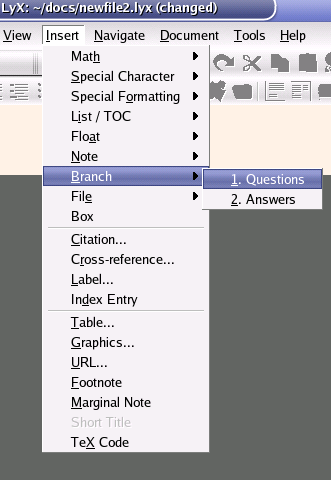 Several menu items (in the Edit menu) are now context-sensitive, so they only appear when needed. For the die-hard old LyX users, the older layout (referred to as the classic UI) is still available, for now. For 1.3 users wondering about the minibuffer, this is still available as a toolbar; in addition it automatically appears when using the shortcut for entering a command (Alt-x). 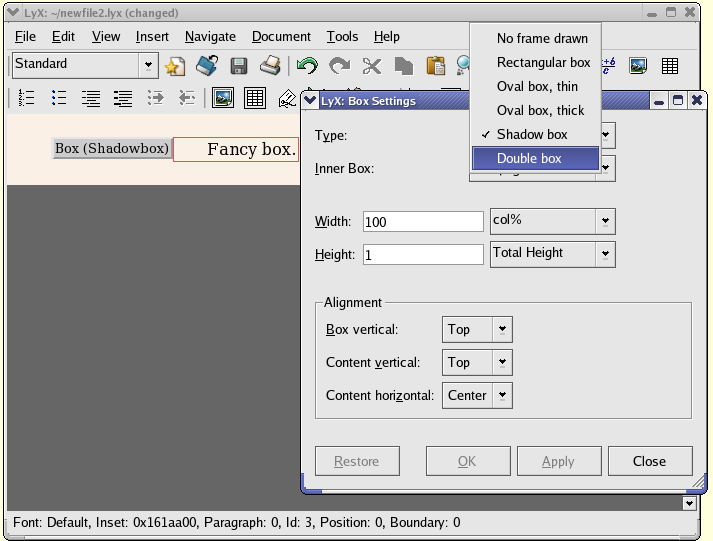 All of these toolbars are customisable: by the usual method of copying the UI files into the personal LyX directory, the toolbars and their contents can be set to whatever's needed. 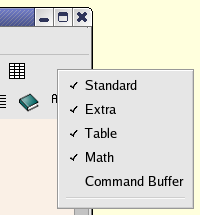 Another new feature worth mentioning is popup toolbars: you can set a toolbar such that it only appears when editing math, or when editing a table. When enabled, any edits made to a document are tracked. 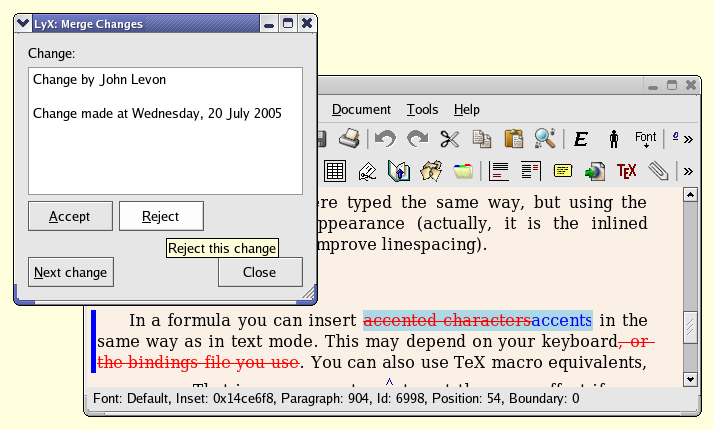 Deleted text is marked in red and struck through, whilst added text is marked in blue; in addition a changebar is added to the margin. With the dvipost software installed, such marks can even be exported to PostScript and PDF. Send a change-tracked document off for review to a colleague, and let them make changes - when you receive it back, you can use the Merge Changes dialog to review his changes. Once all marked changes have been processed, change tracking can be disabled again to allow normal editing. The ancient and unloved Perl script, reLyX has finally bitten the dust and been replaced by the brand new and shiny tex2lyx. tex2lyx's LaTeX parser follows most of the rules of the real TeX and so is already much more powerful than reLyX ever was. For a system that purports to make it easy to write documents full of logical (as opposed to visual) markup, LyX has always had one glaring omission: no character styles. LyX 1.4 goes some way towards addressing this defect, although there's no dialog to define your own styles. Indeed, there doesn't appear to be a menu to insert a new character style either. The markup (both on screen and on export) for this particular character style is defined in layouts/db_stdcharstyles.inc. The teacher who's setting an exam obviously doesn't want her pupils seeing the answers, yet having questions and answers in the same document will make the life of the markers of that exam much easier. That's just one example of someone who would benefit from LyX's new "branches" feature. In fact, anyone who writes documents which have more than one target audience will find this feature useful. 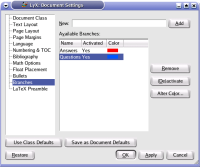 The name of the branch, it's activation state (whether its contents will be output in the exported document) and the background colour of the view on the LyX screen can all be specified in this dialog. 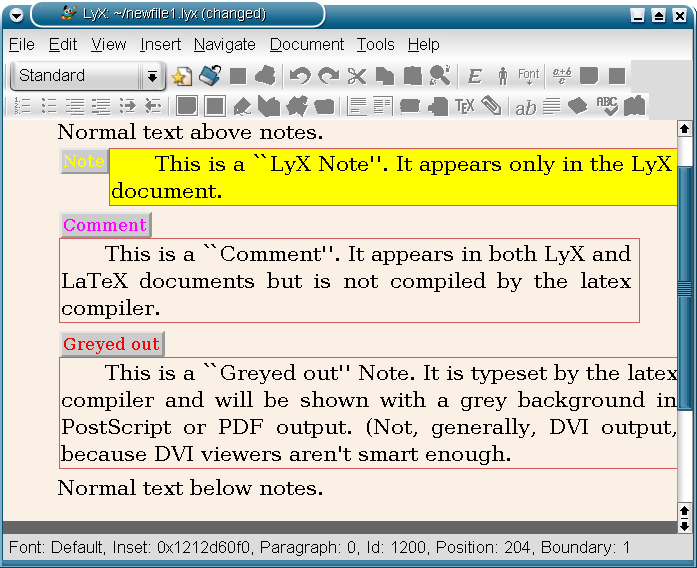 the "LyX Note" is not exported to LaTeX, as now. 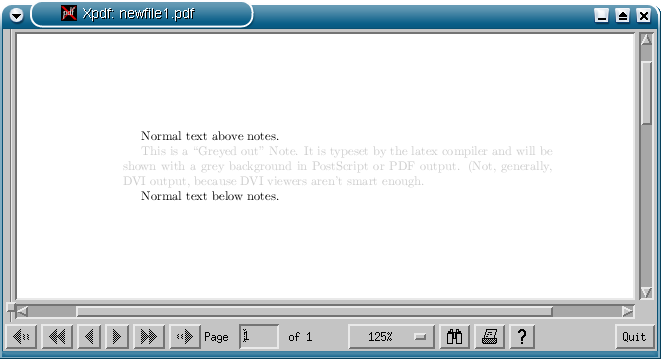 The Greyed Out note is visible in your PostScript or PDF output as, well, greyed-out text. sectioning headers and theorems are now numbered according to the document class specifications. Yes, it's finally there! Tools→Count Words will give you a word count of the document or of the current selection. 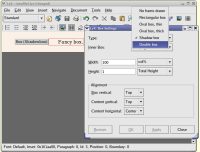 the way bibtex is called is now customizable (as is the way the index processor is invoked). 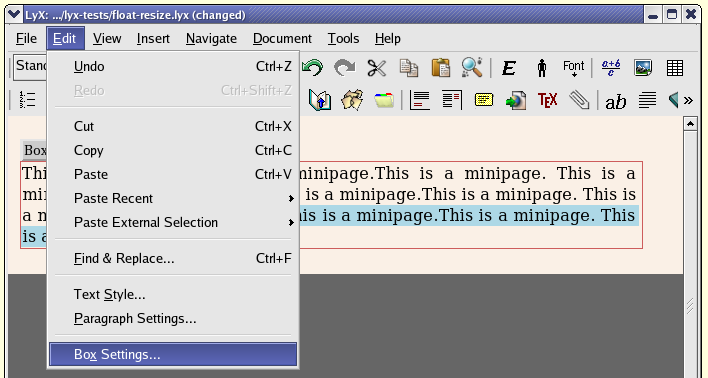 inner and outer quotation marks without the hassle of toggling the style in the documents dialog. Just use the Alt key. the handling of figure and table alignment inside floats has been improved. 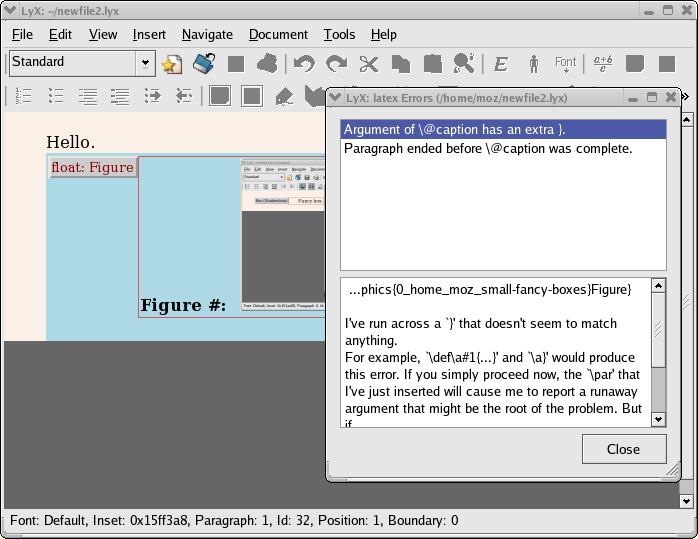 You can now use the paragraph dialog without getting too much space between figure/table and caption. For index generation, xindy can be used instead of makeindex, which has poor support for other than English index sorting.